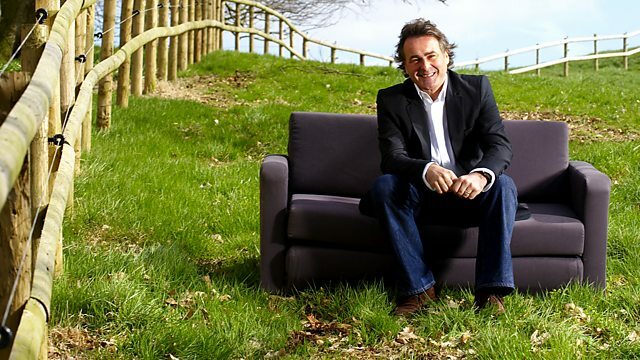 Darlington ‹ Series 7 ‹ Flog It! Paul Martin and experts Will Axon and Adam Partridge are in Darlington. Adam finds a couple of vases which aren't what they first appear. Browse content similar to Darlington. Check below for episodes and series from the same categories and more! our valuation destination of Darlington. Welcome to Flog It. I love all of these bricks. the locomotive as it charges by you. 34 bricklayers, with apprentices and labourers, five months to complete. and they looked at that and they were all chuffed to bits! impressive finds, but, hopefully, on a slightly smaller scale. the people of Darlington have to offer. Don't you? but Valerie's vases aren't what they first appear to be. might look at these vases and think, "Oh, more Moorcrofts! -"Here we go, Flog It!" But they're not Moorcroft, are they? And how did you come to own? -Yes, yes. Well, they belonged to my husband's father. Right, so it may have been a gift from a client or something? Yes, to do with shipping. -Right. And when was that? In the '40s, or something? '30s, '40s. These very much look the Art Deco style. -Why don't you like them? I think they're quite pleasant. No, they're dark, and I don't do dark. -That's why I'm selling them, yes. -What would you go for instead? -Well, I would go for something like probably a piece of Royal Worcester. Or even a bit of pretty Doulton, something like that. These are too dark and overpowering? -and I've never known where to put them. -Are they out on display at home? -They're out on a very high shelf in the breakfast room. -It would be like this to see them! -So you're not going to miss them? -Any idea what they're worth? I think they're probably worth £40-60. exceptionally valuable, but they should make £40-60 between them. -Put a reserve on them? -What do you think, 40? -No, just put 40 on them. If not, what will you do with them? Put them back on the shelf. Not give them away or something? -No. Put them back on the shelf. -And you were telling me about the Flogs. "with the money?" And you said, "I'm going to give it to the Flogs." Does that mean the Flog It team?! Fleur, Lucinda, Olivia and Georgina. -So I've christened them the Flogs. -OK. Did they like that? -Oh, yes, they loved it, yes. They had T-shirts done with a Flogs name across it. Friends, the four of them, and they did me a badge. -It said "Flogs team leader". Cos I'd taken them out picnicking and this sort of thing, you see. -fainting with excitement for these. -No, no. I didn't think so. But it'll be a bit more pocket money for the Flogs. Yeah, and something different for the viewer as well. For the viewer, yes, yes. that you've brought in today. How have you come by them? they looked interesting, cos they had the little finials on the top. These were on a stand at the fair, were they? Yes, and I got them for 60p. 60p?! Did the person selling them know they were silver? and saying, "Oh, they're only tin." "They're only tin"! Imagine that! Were they as shiny as now? They're in wonderful condition. No, that's why I got them, they desperately needed a good clean. You get that with silver. It's just a reaction with the atmosphere. silver plate, where you don't get that tarnishing so much. of solid-silver salt and pepper. Any idea of the date? Yes, I did have a look in a book and I thought it was 1890. They can be hard to find, but usually under the rim. There we are. We've got three hallmarks there. We've got the Assay Office, which is Birmingham. -Then you've got the date letter, which is a Z.
which I can't quite make out. It's a little bit rubbed, to be honest. But that doesn't detract from them. Now, the date letter, Z, is going to be 1899. Nine years from what you thought, but the right decade. a bit of scrolling, bit of chasing here and there. attracted them to you in the first place. Have you any idea of value? a little bit more than the 60p you paid for them. What do you think? -Do you think we can put a nought on the end of that? which for your investment is not a bad return. How long ago was it you came across them? -OK. So that's not bad at all. More than if you'd stuck it in the saving account. at £60-80, I'd like to set the reserve at, let's say, £50. Fixed £50 reserve. What do you think you'd do with the money? Start trawling more church fairs, perhaps, looking for more bargains? Equipment and so on, and green fees. That's not cheap, is it? It's not a cheap hobby. How old is he? Has he started young? Let's hope we see him winning the Open in future. I'll look out for him. And £50 towards a budding golf career. Let's hope we get you that figure. OK. We'll see you at the saleroom. Jean, this album is just so fascinating. It's all your family history, really. Your social history. -So when did your mother give you this? probably be about 30 year ago, and I've kept them safe. -All these were sent to her? -husband in the First World War. the sort of 1914-1917 period. they're all sent to her from France. -It's incredible. "To my dear wife". -There's some loving sentiments from a very brave man. Did she look at it much? she used to talk about these days. -Yeah. Some are worth a lot more than others. I mean, there's a great double-page spread. -worth around about £7-9 each. So, you know, there's quite a bit of monetary value here as well. I've picked out these two from a previous page. Lord Kitchener and Charles Fryatt. I mean, they've not been sent in the post, which helps. Hasn't devalued them. -So they're worth £20 each. -A lot of them are so personal to your grandma. selling this. I should, you know. Is there no-one...? -No, I only have distant cousins. -No children to...? No, I haven't got any children, no. There was one in here of Whitby, wasn't there? Would you like to keep them? Shall we take them out? Well, yes, it would be rather nice, cos it was sent to my mother when she was a little girl! You've got to have something. -Well, look, that one's yours. -Are you seriously selling these? -because they'll only go in a skip. -Oh, what are we doing?! This is quite nice, Whitby. Cos this one pulls out. It does, yes. Concertina one. -That's quite nice. Collectors will buy this. The sad thing is, when this sells in auction, it'll be split up. It won't have any sentimental value to anyone else, let's face it. -And you feel the time is right now? I'm sure my gran would have wanted me to hand them to someone who will appreciate them. Any idea of the value? No, I have no idea of the value, really, at all. Well, I think there is a great deal of value here. -There's a lot of silk cards. -put these into auction with a value of round about £100-150. I think they'll get the £150 mark. -Fingers crossed, on a good day. We'll put a reserve of £80 on. -You can change your mind. -I won't change my mind. -Let's put them into auction. -And I guess it's a book that we have to shut, isn't it? -Let's hope they go to a good home, OK? appreciates them. People wouldn't buy them if they weren't interested. Exactly. And that's going back to a good home. That is going to a good home and then that'll be treasured as well. I'll see you in the auction. Yes, I'd love that. Thank you. -And what's made you come along to Flog It? -Well, I watch the programme and I've actually seen one similar to this sold. -Got this one from a charity shop. -18 months ago. How expensive was it? -Yeah. And you're selling it. It appears to be a Georgian cannon. This bit is Georgian. The stand is later. which is probably in the last 50 years, I'd have thought. So, what attracted you, just cos it was a bargain? Well, I thought it was an excellent piece of workmanship when I saw it. And it was that that attracted me. the George III cipher on there. Any idea what it's worth? I think it would probably make that, perhaps a little bit more. thousands, but this is fairly ordinary. So I'd expect that sort of money. Are you happy with that? -OK. Say it makes £80, what would you do with it? -a computer programme or some such thing. -Do you scour them a lot? Is that a hobby of yours? -Well, I look. I look. -So, off to auction with it. We'll put it in the auction with a £30-50 estimate on it. Any reserve? Well, I would like a £30 reserve. Bottom of estimate, see what happens. -If it doesn't make that, we'll take it home. Thank you for coming, I'll see you at the auction. where we head off to the saleroom, and here's what's coming with us. to give to the granddaughters, the well-named Flogs. Judith's bound to make a profit on the salt and pepper shakers. They're definitely going to make more than the 60p she paid for them. I'm convinced the cannon will go with a bang. And Jean is selling a real piece of her past here. so I just hope the collectors are in the saleroom to spot them. And this is where the auction will take place, Thomas Watson's in the heart of Darlington. jam-packed full of bidders and they're all here for our lots. And the auctioneer with the gavel at the ready is Peter Cartwright. £40-60. They belong to Valerie, and all the money's going to the Flogs. -So, remind us about the Flogs. -Well, I have four granddaughters. Their initials are... Well, they're Fleur, Lucinda, Olivia and Georgina. Spells Flogs, taking the initials. It's an anagram of Flogs! -So I call them the Flogs. -So we need top money, Adam. I don't think we'll be surprised. Too dark for Valerie. Will that put many people off? Well, they're quite stylish, though. I think they're quite Deco-looking. we should be delighted if they hit three figures, and very surprised. I hope so. Well, I hope so! Well, we can't say any more, really. The lot is just about to go under the hammer. Let's see what the bidders think. The two Dutch Gouda vases, each with a flora decoration. Interest in these. I can start these away at £65 for the two. 70 now for the two. At £65 with me. The bid at £65 for the two. Straight in and straight out. £65. Are we all done at £65? Hammer's gone down. £65. That's not too bad. -£15 each for the Flogs. -That's a good day out. Well, they'll be pleased to start with that. -And you didn't like them anyway, did you? No, they were too dark for me. Yeah, I like lighter china. -They had the look, and I'm sure somebody's going to enjoy them. with a value of £60-80. They belong to Judith, and she's brought along her partner. -Alan, pleased to meet you. Why are you flogging these? Don't they come in handy? Not really, because I don't want to use them. I've had them in the cabinet for a long time. -I've had them 17 years. And I paid the great sum of 60p for them! Never happens to me, that. A church fair? And they were really black and dirty. I think we can turn a profit here! of silver, that's what the market is taking well at the moment. -So I'm confident we'll get these away for you. -they're riding high as well. The price of silver's gone up a lot. Yeah. And pepper's not cheap! The scrap value... Pepper's not cheap either! Saffron shakers, there we go! Let's they find a good home here today. Good luck, you two. This is it. And I have 35 to start for the pair. At 35. 40 now for the pair. 40. 45. 50. In the room, the bid. The lady's bid at £50. 55 now. 55. 80. At £75 in the gallery. -Are we all done at £75 the pair? -Yes. Yes! The hammer's gone down. £75, and I think that lady on the second row has bought them. The lady you were sitting next to. -They've gone to a good home, and I hope she's going to use them. them home in newspaper and sit there with my silver salt and pepper pots! Silver knife and fork, and you're away, aren't you?! Good idea! David's little Georgian brass cannon with a value of £30-50. Fixed reserve at 30. We're not giving this little gem away, are we? You picked it up for a couple of quid? -So you've got keen eyes. Any other bargains you've found? I've never found a bargain in a charity shop. I thought it was a bit of you, actually, when I saw it. Yeah, I do like it. It's a nice little desk toy. This should get the top end. -Should be £50, shouldn't it? -The Georgian model of a cannon on the mahogany stand. Interest in the lot, and I can start this away at £30 for the cannon. -At 35. 40 upstairs. 45. 50. At £70 in the gallery now. At £70, your bid, sir, at £70. 75 for the lot now. 75. 80. 85. 90. At £90. Still in the gallery, then, at £90 for the lot. Are we all done at £90? are you going to do with that money? Less a bit of commission. So you're into your computers? Well, yeah, I'm getting there, getting there. I combine it with art. You pretend you understand what he's talking about! Oh, Jean, that brings back some memories, doesn't it? Look at that. We saw that at the valuation day. That's the one we've kept back. -going under the hammer with a valuation of £100-150. Let's hope we get that top end, shall we? I'm pleased you kept that one back. started off with breeding my cats, so it's very special. Did you say goodbye to them this morning? -Oh, yes, I certainly did! -Did they wish you luck? Yes, they did! My friends all rang, anyway! These cards have been in the family a long, long time. -They certainly have. Almost 100 years. they find a good home today. -Let's say goodbye to them. Interesting lot. It's three albums of postcards. Silk cards in amongst this lot. Interest in the lot. Start these at £55, the lot. At 55. 60 now. At 55. 60. 65. 70. 75. 100. And 10, sir. 120. 130. 140. The cats will be pleased! -At £200. Downstairs, the bid at £200. -Are we all done at £200? -They got the right money. someone who's going to look after them. Yeah. Will you treat the cats? Oh, it'll pay for some cat shows, that's one thing! It will get me to two cat shows, anyway! I hope you get a winner as well. I certainly hope so. Thank you very much. system, and the locomotive involved was Stephenson's Locomotion No. 1. It certainly was a piece of railway history. And today in Darlington, yet another is just about to unfold. I'm here at Darlington Locomotive Works to find out a little bit more. passion, their energy and their enthusiasm a lot further than most. They turned a pipe dream into a reality. Meet Tornado. one of them was scrapped by 1966, replaced by modern diesel engines. So the A1 became a missing part of railway history till 1990.
began on the 50th locomotive of this class. of little parts like this can turn into something like this. which included the Flying Scotsman and Mallard. was a combination of poor coal with a shortage of manpower. to compete with modern diesel trains on the UK's mainlines. David, great to meet you. Thank you for showing us around. I want to know who came up with the idea, because this is awesome. movement about the engines which were missing from the national collection. was the biggest omission from the collection of preserved locomotives. Wonderful craftsmanship. How many are in the team here? and others who come in just for specific activities as required. think it's heading for 90,000-100,000 when it's finished. Gosh. Have you any idea of what it's cost so far? That's a lot of money. So how have you managed to fund this? individuals contributing regularly to the project. What have been the main problems? First, we had to establish whether there were any drawings for the engine. -around of 95% of the original drawings for the loco. it would have been a huge task, and really outside our capabilities. -the specialist skills you need are no longer there. from all over the UK, and into Europe and South Africa and beyond. Yeah. Can we take a guided tour? -Where do you actually start? Well, we laid the frames in the first instance. That is what everything else hangs off. -We did actually have the wheels made early on. -something that was very identifiable as part of a steam locomotive. Early on, the essential thing was to make progress to make it look as though we were building an A1. And the boiler, where was that made? Well, the boiler was and has been the biggest single problem. a fully-fledged steam-locomotive works here in the 21st century. What's been the highs and lows so far? the first time. They invariably leak somewhere. -This didn't leak anywhere, which is what we'd hope. got the steam up, you've got to generate it into power. That's equivalent to most of the larger diesels that are around today. Have you had to modify the brakes? Only to enable them to haul modern rolling stock. This must be special for the people of Darlington. Do they keep an eye on what's going on? 23 of these were actually built in the Darlington Locomotive Works of British Railways. look at this, you must go, "What a great day." and think, "What is this that this team has created?" and size in this century is just astonishing. Tornado's built right here in Darlington. That's history. people of Darlington will as well, and they'll feel extremely proud. and everything seems to be running like clockwork for Will. along today. You were here nice and early. -That's what we like, good! You've brought along some tinplate toys for us to look at. what they're worth, if they're worth selling. they're going to be from perhaps the '50s, perhaps the early '60s. Tinplate toys and, as you can see, in the box, "Made in Romania". the market for the collectable tinplate toys is really the Japanese and German tinplate. so we're not talking megabucks here. But let's have a closer look anyway. You've got here the steamroller. the box, look at this sort of modern, futuristic design. See the way the buildings are designed? You say they work? -Well, let's put it to the test, shall we? I've got the key here. Look at that. All modes of transport. It's a little bit sticky. A bit of oil, that'll go nicely. computer games, I'm sure they would find those appealing. The steam tractor also works? and let it go on the table, it won't fly off the end? No, no, no. It'll go backwards and forwards. Oh, it's got forwards and reverse? There it is, look. Ah! cos otherwise it'll go non-stop. -thought about value at all? -No, no idea at all. the market for Romanian tinplate isn't as collectable. It is a little bit tatty, the corners have gone. You've lost the lid on that box, haven't you? putting them into auction at an estimate of £20-30. To be honest, I'd probably advise you not putting a reserve on them. Then they will make what they make. Bit of a gamble, at auction, not putting a reserve on. Well, I'm confident we'll get close to the £20. Carole, you didn't even expect to be here this morning? She texted me for coffee this morning, and I end up in here on this show. -You end up in the Flog It queue. -You could come with us if you want! -Well, that's very kind of you! close to your £20, I'll take you up on that offer. We'll have a nice cup of coffee at the saleroom. -thing. This Taurus the bull. -Can you tell us about it? Where did you get it from, David? We both saw it, and his birthday is in May, which is Taurus the bull. -Is that what attracted you? What do you like about it? -Well, actually, I wanted the eagle. There was a ceramic eagle. And then my wife said, "Well, here's a bull. "You're May. Shall we have it?" And I liked it straightaway, really. -OK. But your wife made the decision? -There's a pattern there, isn't there? So when was this that you brought it down in Bishop's Stortford? It must be about 40 years ago. -40 years ago. Quite a while ago? -And do you remember what you paid for it? A good memory for numbers?! -No, he leaves that to me! it's got signs of the zodiac all the way around it. This was designed by Arnold Machin. He was a designer for Wedgwood, but what he was particularly famous for was the postage stamp. image has been reproduced over 200 billion times. which kind of shows the diversity of his work, really. So it's quite interesting. Any idea what the current value is? Cos £25 40 years ago was quite a lot of money. -What was it the equivalent of? So, what's a week's wage now? -It's anywhere from 150 upwards, isn't it, I suppose? I've sold a lot of these in auction. They generally make between 100 and 200. Sometimes a little bit more. we'll put a reserve of £100 on it. -And it'll go on the internet? -So I think we should put a £100 reserve on it. -a couple of hundred quid. I'll get something for the wife and something to replace it. Yeah. Have you got anything in mind? A nice idea to commemorate 51 years. -Thank you for bringing it along. I think it'll make a couple of hundred pounds. I do hope it makes a good price. -let's hope it goes well. -Thanks for coming to Flog It. generally means the piece inside is going to be good quality, too. Let's have a look. What can you tell me about it? Is it something you've inherited? Purchased? Well, I did purchase it, but not how you think. I bought an old pine tool chest full of old tools. an old Oxo tin, and inside the Oxo tin... There we go. And did you know it was there when you were bidding? -So this was literally a bonus in the bottom of the box? -And how much did you pay for the box? -And where was this saleroom? You can tell me afterwards! that make the auction room so exciting. That's why you've got to go to these places and view well. Right, well, let's have a closer look at it, if I take it out of its nicely-fitted box. We can see that it's fully diamond encrusted. there are roughly sort of 2.1 carats' worth of diamonds there in total. -They're old-brilliant cut, which is just the style of cut. than you can about the front. which would suggest to you that someone's taken a lot of care over this. And here we've got the pin attachment. And have you ever noticed that you can actually take this piece off? That's generally how they worked. I'll see if I can take this off now. and occasionally they would attach to a bracelet. So, very versatile. I'll pop that back on so we don't lose it. Well, let's pop that back in its case safely. The only other thing to say is that it's set in silver on gold. tint to the diamonds, when really people are after the brilliant white. And I would suspect that this dates from that late 19th century. 1890, that sort of period. So why did you want to sell it? It doesn't really have any practicability. Yeah. I mean, it's wearable. It is a wearable brooch. Value-wise, I don't know if you've ever had it valued? -No, you didn't go back to the auction you bought it from?! They'd say, "We'll have that back, thank you!" at auction... I would like to see it in a catalogue at, let's say, £6-800. -Is that a figure you were thinking of? -a painter and decorator in up the whole stairs and landing. of the show at the auction. And I'll see you there. £6-800. We'll reserve it at £600. I don't think the auctioneer's going to need any discretion. Well, there you are. Another three items valued, and another trip to the auction room. want to get their hands on these and have a play. bidders when the Taurus bull goes under the hammer. I know diamonds are a girl's best friend, but at £600-£800, they could be Dane's, too. but how does auctioneer Peter Cartwright think it's going to do? This is a bit of quality. Look at this sparkling away. It's a real little gem. 2.1 carats, this diamond brooch. it was inside a tool chest that they got for £15 in a little tiny tin. -with a fixed reserve of 600.
late Victorian, original box, from Conduit Street in London, Mayfair. Fantastic piece. I don't think we'll have a problem selling this. -It should make the top estimate. And more, hopefully, on the day. I would hope so. walked in, would you say 600-800, or would you say 800-1,000? I would hope for 800-1,000. I would hope. We're going to be relying on you to weave some magic. We want to see £1,000. It would be fantastic if we could. I believe coffee and cake is in order after this little lot. -Don't you, Joanne and Carole? We've got tin toys and a valuation from Will of £20. Yeah, not a lot, but we explained that on the day, didn't we? -Can I come as well? -I think there's enough for two. -Hey, who came up with the idea of no reserve? -Yes, well, you always like to have a couple no reserve. -What happens if it struggles at £10? Guess who's not getting coffee and cake? Me again. I will stick my own hand up. I'll buy it for 20 quid and take you all out, how's that? I'm pretty sure it'll do the top end. -It's a bit of quality. and, hopefully, there's some toy collectors in here and dealers. The two Romanian, clockwork, tinplate toys. And I have 15 to start on these. At 15. 20 now for the toys. 20 at the back, the bid. At £20. -Are we all done at £20? Well, it sold at the lower end. That's not bad, is it? -Thank you so much for being so much fun. David and Shirley, it's now time to find out exactly what that china bull will do. It's the sign of Taurus. Adam, is it a bullish price? I think it will hit towards 200. -Had a chat to the auctioneer. He liked it as well. We both sort of thought it was very unusual. -You never know, do you? -We could get that £200 mark. -Why do you want to sell it? I've had it a long time and our sons aren't interested in it, and you have to start getting rid of things. -Just outside Carlisle. Beautiful hotel. So now you're going to pay for it? -That will pay for it. -No, I thought of buying something for me wife. Oh, lovely. Well, let's hope we get top money. This is it. with colour transfer prints depicting signs of the zodiac. Interest in this lot. I can start this away at £90. 100 now. 100 seated. 110 I'll take. At 110. 120. 130. 120 with the lady seated in the third row at 120. 130 now for the lot. Are we all done? 130 at the back. 140. 150. 140 with the lady still. At £140. Are we all done at £140? Hammer's gone down. We've sold it at mid estimate. -Big smiles. It's a good result. -Well, it is a good result. As good finds go, it doesn't get much better than this next lot. and it was found in a tool chest that you bought for £15. Got to be worth that. I mean, if it doesn't sell, I'll be disappointed. At £600-£800, it's worth all of that. putting on these sort of things in the shop window and you can put a nought on the end. -Had a chat to the auctioneer. He totally agreed with the valuation. I'm hoping for the top end. What went through your mind when you found that? Did you think, "It's costume jewellery," or something? No, I wasn't really interested at first, cos I was more interested in the handles what was on top of it. -"Well, it's sparkling, so it's got to be something." -Did you get it valued? No, no, it's been in a cupboard. So the first time you knew exactly how much it was worth was when you met Will at the valuation day? -That must have been a nice moment? It was and it's come at the right time, cos we're doing up the house. We're going to find out exactly what this is worth. in the form of a Catherine wheel. Interest in the lot. I'll open this up at £450. At 450. 500. And 50. 600. In the room the bid. At £600, gentleman's bid. At £600. 650 surely now for this brooch. At £600. Are we all done? At £600. 650. 700. At 650 beside me now. At £650. Are we all done at £650? Yeah, we got it away for you. -I've already got the tools. Yeah, they're in the bottom of the box! room here in Darlington and we're coming to the end of the show now. All our owners have gone home happy. doing up the house, pairs of shoes. But that is what it's all about, turning unwanted collectables into spending cash. So until the next time from Darlington, cheerio. Paul Martin and the Flog It! team are in Darlington, a town renowned for its railway history. Paul is joined by antique experts Will Axon and Adam Partridge, all hoping to make the people of Darlington a quick buck. Paul values some postcards with real family history, Adam finds a couple of vases which aren't what they first appear to be, and Will uncovers a real gem which puts a sparkle in his eye. Also, Paul gets a chance to find out a new piece of railway history in the making.